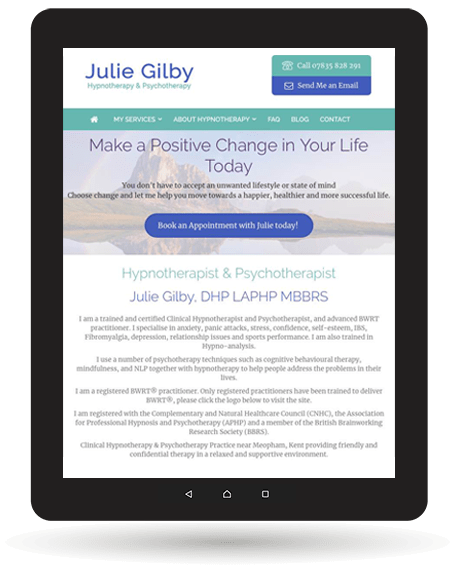 Hypnotherapy Help Kent is a professional and friendly Hypnotherapy practice near Meopham, Kent run by Julie Gilby. She is dedicated to helping people make changes to help improve their lives. 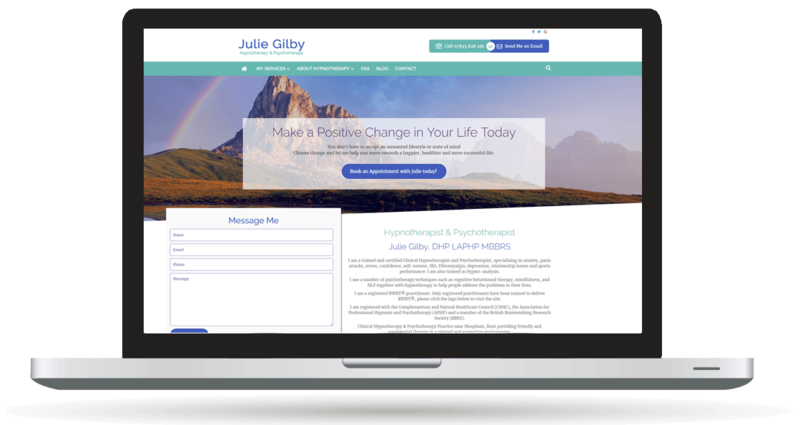 She has a special interest in anxiety, fibromyalgia and sports performance. 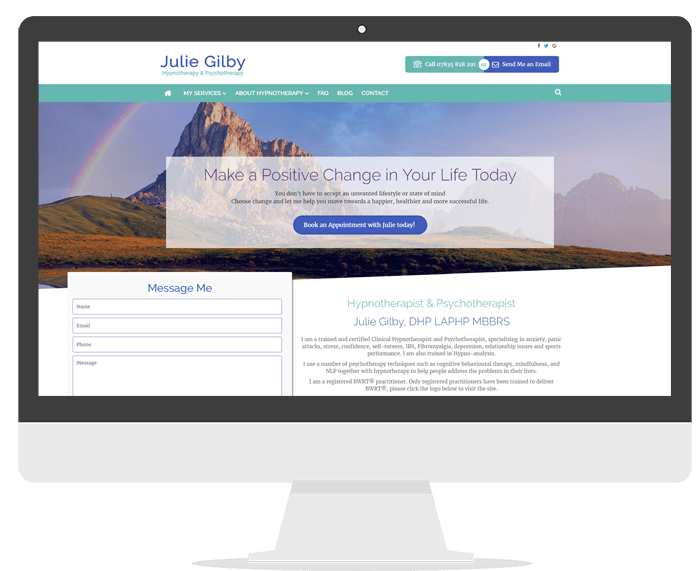 To design a modern and informative website to inform people of the specialist services offered. To provide call to action and contact forms for lead results. To provide cloud SSL 2048-bit key secure certificate. To provide premium software updates and support.